In the Heights Porthlight Music Theatre | Trevor Boffone, Ph.D. 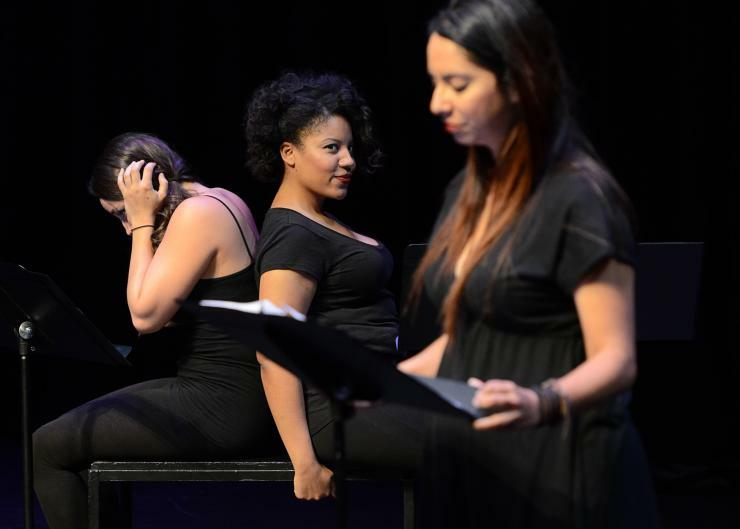 In July 2015, I spent four days experiencing Chicago’s robust Latin@ theatre scene as a participant in the Latina/o Theatre Commons’ Carnaval of New Latina/o Work hosted by the Theatre School at DePaul University. Aside from Latin@ theatre companies such as Aguijón Theater, Teatro Luna, Teatro Vista, and Visión Latino; Chicago is home to a rich talent pool of directors, producers, designers, dramaturgs, and playwrights that were on display at Carnaval. But above all, my biggest takeaway from the weekend was the amount of talented Latin@ actors that performed in the 12 play readings at Carnaval. I simply couldn’t believe that Chicago had so many high-quality Latin@ actors. It blew me away. Many people commented on this. 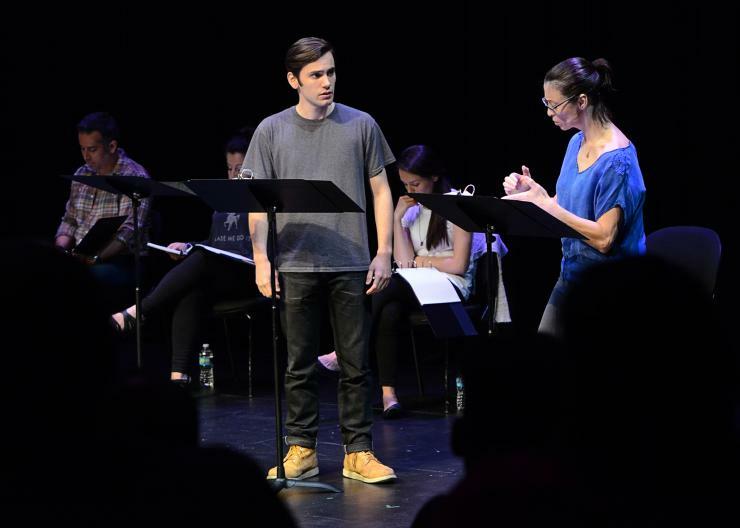 On Café Onda, Tiffany Ana López noted, “Nearly all of the presented work was distinguished by strong dramatic writing that, without exception, was well directed and superbly acted. The consistent strength, sophistication, and nuance of the performances made Chicago appear a veritable mecca for Latina/o actors.” By any measure, we all can agree that Chicago has a talented and deep acting pool. Yet, the recent casting announcements of Evita and In the Heights in Chicago have been met with resistance due to the lack of Latin@ talent on and off stage. So what’s going on in the Windy City? Let’s look at the two instances. We obviously were looking for Latin American actors. There weren’t very many, like a handful, that we had seen. (…) It think if there was a gripe about it, what I have to say is then to come out and audition. Put yourself out there. Take the risk and audition for these shows. We can only hire the people that come. Yes, it is true that you can only hire the people who come. But, what kind of outreach was done to the Latin@ acting community to ensure that information was widely distributed and accessible? Did Marriot Theatre reach out to the Alliance of Latino Theatre Artists in Chicago? On the Chicago Inclusion Project, director-playwright Tlaloc Rivas even saw this moment as a tipping point. This Hemisphere of the Americas—that includes North, South, and Central territories—is not the same one that allowed Evita to emerge in the 80’s. The world is much more fluid, dynamic, multiethnic – and to ignore that in 21st century is akin to claiming men should only perform the works of Shakespeare. Has Evita, along with West Side Story, reached its Mikado moment? Has those musical’s origins—with its inauthentic portrayal of ethnic or foreign life, written by white men and originally played by a predominantly white casts—to be done today? Or should it not be done if it can’t be cast authentically? Musicals that take place within a Hispanic/Latino culture but that have historically excluded any creative or artistic input from Hispanic/Latino artists and performers haven’t necessarily had to face such a measurement in any significant way. Until today. Because today, there are no excuses, and to claim that all efforts were made for diversity in casting falls rings false. I’m surprised that the producers didn’t cite the recent casting call of Hamilton in Chicago as the reason they couldn’t find any performers of color. After all, Evita was originally done with few Latin@s and featured Anglo actors Patti LuPone and Mandy Patinkin as Eva Perón and Che Guevera, respectively. But as Rivas notes, in 2016 there are no excuses. This is not the 1970s in which Evita premiered. Casting an inclusive Evita shouldn’t be an option, but should be a requirement of producing the show. As some have pointed out (on Facebook), this casting decision gentrifies a show that is about a community fighting against gentrification. Evidently, Porchlight fails to comprehend the lived realities of Latin@s all across the nation who face many of the issues seen in Miranda and Hudes’ musical. This especially rings true when a white man is cast as Usnavi. These roles were written by Latin@s for Latin@ actors. The Latin@ community wants their stories told, but in an ethical way that speaks with the community in question. To gentrify In the Heights is to completely miss the point of the musical. Meanwhile, in Atlanta, Georgia, Aurora Theatre and Theatrical Outfit are mounting a co-production of In the Heights with that features Latin@s in the principal roles (and much of the ensemble), with Diego Klock-Perez as Usnavi, Courtney Flores as costume designer, María Cristina Fusté as lighting designer, etc. That in the Atlanta metropolitan area these two companies can produce the show as Lin-Manuel Miranda and Quiara Alegría Hudes intended and a theatre company in Chicago cannot is mystifying. While there are certainly many factors at play, perhaps this is a testament to Anthony Rodriguez’s leadership at Aurora. Nevertheless, a theatre company need not have a Latin@ artistic director to produce a Latin@ play. But the company does need to do the community outreach to ethically produce shows such as In the Heights, Anna in the Tropics, and Zoot Suit. If you can’t field a majority Latin@ cast and hire a predominately Latin@ creative team, then perhaps do a different show. While non-Latin@ theatre companies should be encouraged to produce Latin@ work, this goes beyond simply mounting a show. If theatres truly want to engage in conversations of equity, diversity, and inclusion, then they first need to look at how their company is run from top-to-bottom. For starters, what is the racial and gendered make-up of your staff? What are your audience demographics? What stories are being told on your stage? In the end, being an ally isn’t about patting yourself on the back. It’s about recognizing your privilege and how you can use it to enact change. It’s about listening and putting your own self-interests aside. Be committed, hire a more diverse staff, do the outreach to actors of color, and engage with the local community. Then mount In the Heights when you can ethically do so, in a way that truly connects with the community by speaking with the community and not for it. ***Update, 8:06 pm, July 20, 2016*** The original version of this blog said that few Latin@ actors were cast in principal roles for In the Heights. As more information has become available, this has been redacted. This entry was posted in Uncategorized and tagged Carnaval of New Latina/o Work, Chicago Theatre, In the Heights, In the Heights Cast, In the Heights Porthlight Music Theatre, Latina/o Theater, Latina/o Theatre, Lin-Manuel Miranda, Porchlight Music Theatre, Porchlight Theatre Chicago, Quiara Alegria Hudes on July 20, 2016 by trevorboffone.